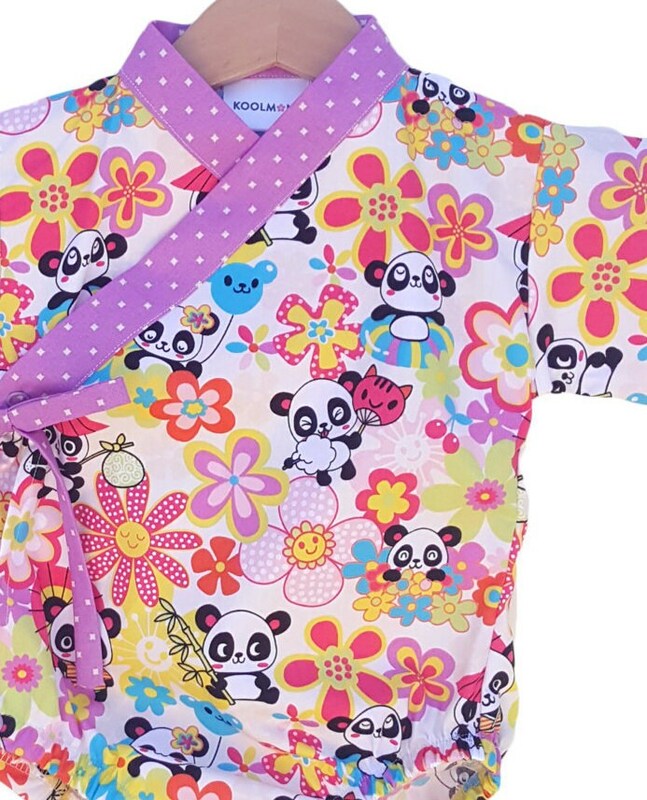 The Panda Party baby kimono is simply adorable! Kawaii print with happy pandas, flowers, and loads of color! I purchased these as a Christmas gift, and I am so happy I did. The workmanship is amazing. These things are adorable! And the little slippers to match! I will definitely be back for more items!